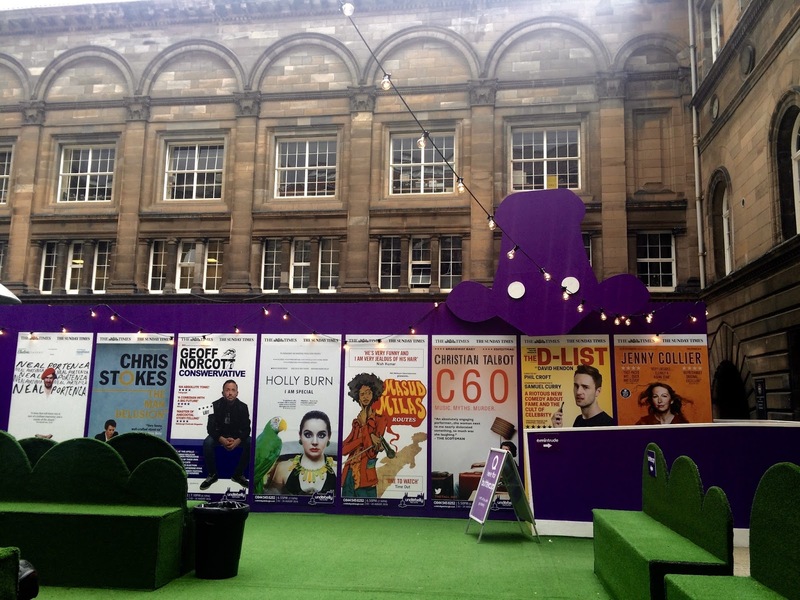 Fringe-goers you know the drill, everyone wants to stop and tell you about their recommendations of the latest and funniest show they've seen and so here I am shouting about the best shows I saw during my week at the Edinburgh Fringe.. I saw the wonderful guys from BEASTS perform at a charity comedy gala on my first night at the Fringe and knew I should see more! We luckily managed to grab tickets from the half price hut and went along one evening. Usually sketch shows would leave me feeling unsure if it would be my sort of humour but BEASTS completely blew that out of the water! I don't think I stopped laughing from the minute they burst on to the stage to compete for the prestigious honour of 'Mr Edinburgh 2016' Watching the guys perform to win various rounds was a complete riot. I don't want to give too much away as you all need to go and see the show for yourselves but I must add that I had a sore throat from laughing so much (and at times crying with laughter!) and if that isn't high praise I don't know what is! I saw Hayley at the Fringe back in 2014 after a picture of her super cute dog Kevin on her Fringe posters drew me to her show which turned out to be one of the funniest I saw that year! I've followed her on twitter since and recommend you all do the same (@Hayles_Ellis) In 'FOMO' Hayley discusses how we all compare ourselves to those friends we see on Facebook (you know the type!) as we fear are we missing out? How we question what we should have achieved by now, doubt if we're good enough, and how our lives on social media don't always reflect the true picture. She happily chatted with the crowd as we discussed what we'd put on our own vision boards for the future and left us laughing throughout! 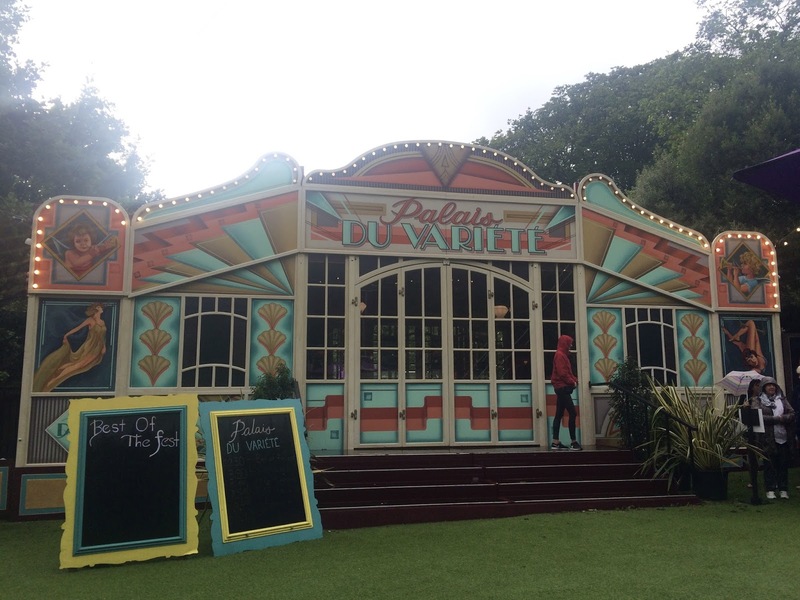 The Cabaret Bar at the Pleasance Courtyard is the perfect venue for Al Porter's show, it lends itself to a slightly rowdy audience who are mostly a few drinks down by that point in the evening. Al had us screaming with laughter (no literally, the ladies near us did not stop screaming!) as he entertained us with tales from growing up in Ireland, priests and waking up abroad after a particularly big night out. He bounces off the audience in his trademark camp and mischievous style which leads to further laughs from the crowd. A great show to really get you laughing! 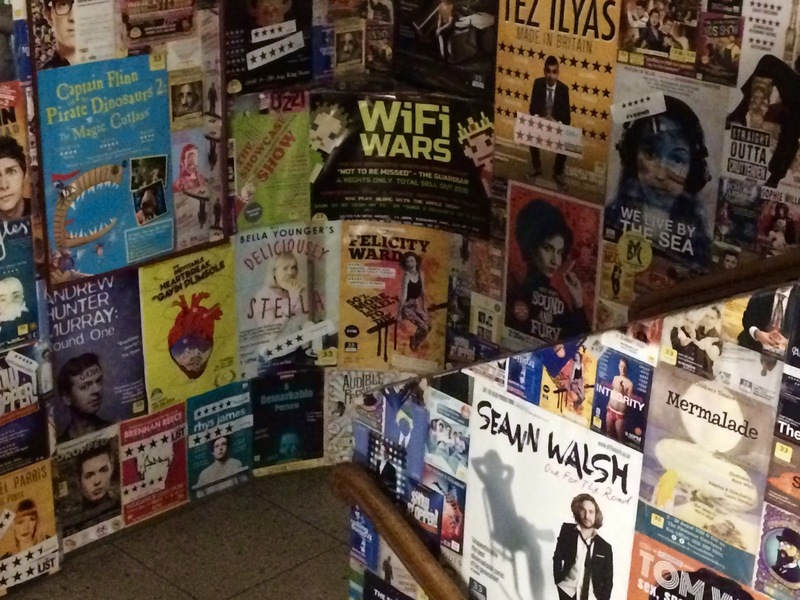 On our last day at the Fringe (sobs) we decided to seek out some more free comedy and ventured along Cowgate to The Caves to see Daniel Cook. As with most free shows you're taking a punt on how it'll be but from the minute I sat down I could see he has such an energy that we just knew it was going to be funny. He kept us laughing throughout the hour despite the humid conditions that day (I always wonder how Fringe performers survive in the heat of the venues!) with tales from his life and everything in between. I love listening to Ashley and her mum Janey on their weekly podcast so knew both of them were must see's for me this Fringe. Ashley played to a packed out room on a wet Wednesday afternoon and she had us all in stitches from the start entertaining us with tales of erotica, turning 30 and being booked to perform at a particularly dry BBC Christmas party! She has a great way of interacting with the room and embracing the crowd, I'm the sort of person who would often be worried to sit at the front at a comedy gig but I'll happily head to the front row for Ashley! As mentioned above being a big podcast fan (I often listen to it whilst driving and then fear other drivers wonder why I'm in hysterics!) I knew Janey would be similarly busy to daughter Ashely and we made sure to join the ever growing queue 30 minutes before she was due to start. As expected Janey helped to seat everyone she could but it was standing room only at the back as the crowds gathered to witness Trump's No1 fan (disclaimer: this is a joke!) Some would describe Janey's comedy as not for the easily offended but if her material offends you there's a strong chance you need to have a word with yourself! 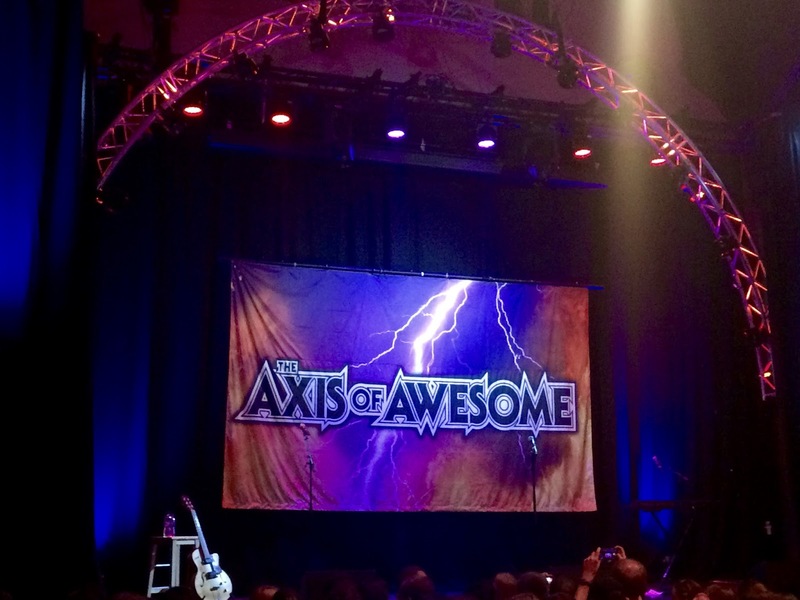 I remember first hearing Axis of Awesome on Scott Mills shows from the Fringe a few years ago and loving their mixture of comedy songs. 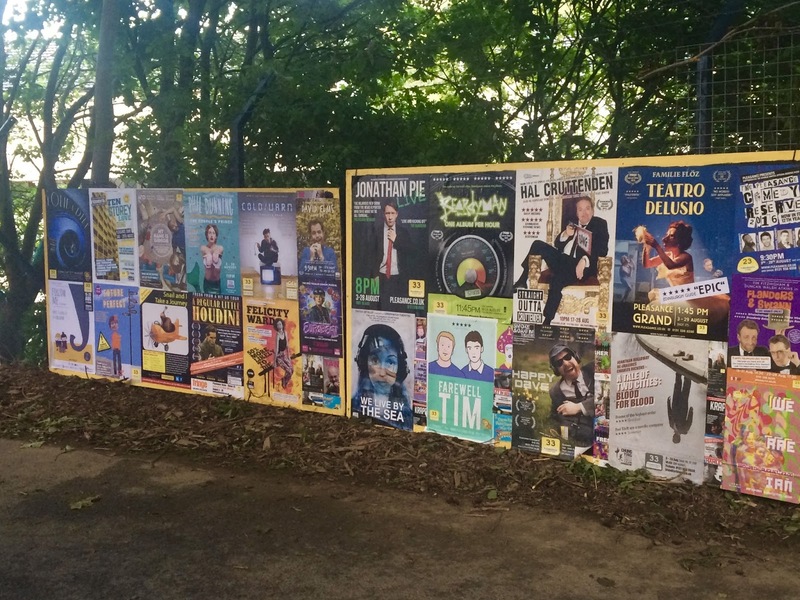 After seeing them at the charity comedy gala earlier in the week we managed to fit them into our ever growing Fringe show schedule. Go along and see them show how many songs are actually based on the same 4 chords! I can't stop singing the Bucket List song to myself and there's even one for KFC fans in there! Jenny Collier is another of the comedians I've seen a few times at the Fringe. She doesn't go for the loud brash style some seem comedians seem to adopt but rather welcomes the audience in and you feel like you're listening to a friend (be it one of your funniest!) She talks about being Welsh and her previous job history and always gets a laugh from me with her well timed witty one liners. I've seen a couple of Sooz's previous shows (I loved 2014's 'Defying Gravity', who doesn't love Wicked!) and particularly enjoyed how she combines music with original comedy songs. Sooz discusses her parents divorce as a teenager, a certain character assassination email from her father, the successful career of her brother (impressionist Luke Kempner) and that time she never heard back from 'Jim'll Fix It' leaving poor Sooz feeling like even Jimmy wasn't interested! Felicity Ward is my favourite funny Aussie and possibly the comedian I've seen the most times at the Fringe (4 years and counting!) Her shows are always fresh and funny. This year Felicity talks again about mental health and her own anxiety as she recounts the day she left her bag on the bus. From excellent bus etiquette, to self help meditations, to chicken karaoke Felicity once again had me laughing until I nearly fell out of my seat! She manages to convey the underlying messages of the show and still leaves her audience feeling upbeat. Who have been your Fringe favourites? 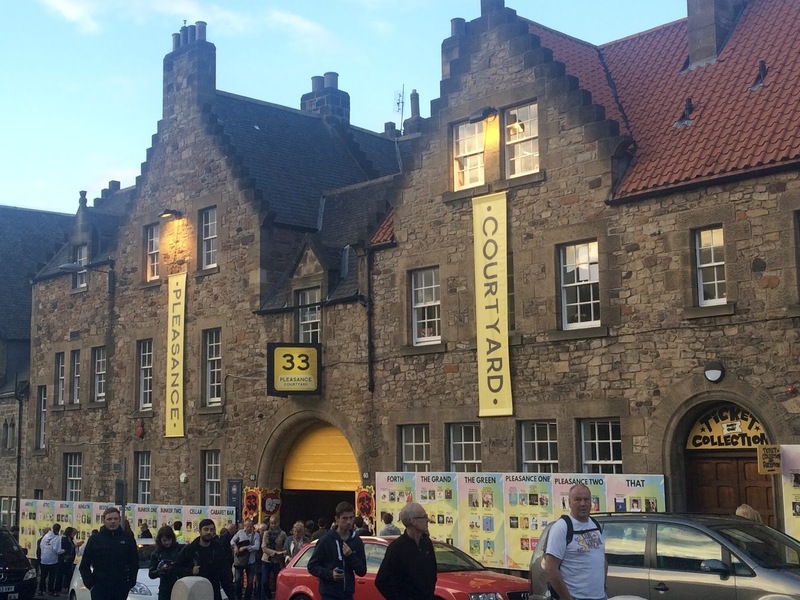 I wanted to visit Edinburgh forever!! This is a perfect comedy guide, thank you!! !